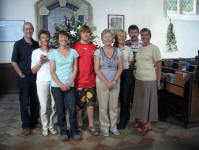 A quarter peal of 1274 Grandsire Triples was rung to celebrate the marriage of Josephine Sharpe and Simon Waters. 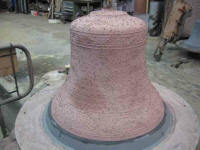 Andrew Mills arrived on site just over two weeks ago and during that time he has been constructing the new frame, aided by a band of local volunteers and several Suffolk Guild ringers. 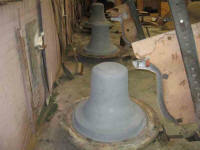 The old bells have arrived back in the church safely and the new bells are expected to be delivered in the next week or so. 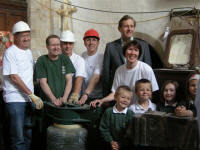 Last Friday we were visited by our local MP Richard Spring and some children from the local Primary School who will be doing some project work later on in June on the bells. 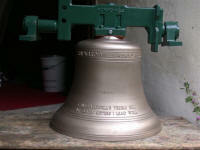 Also present were Laura and David Ruffles, descendants of Hector Ruffles, to whose 36 years of service as a ringer the fourth bell was dedicated when it was recast in 1935. By coincidence that day (22nd May) was the 75th anniversary of Hector's death. 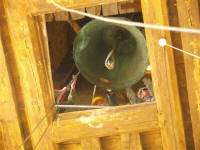 We are very grateful to the many people who have given their time to help with this phase of the work. 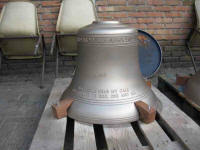 In a bell restoration project, once things start happening, they happen very quickly and it's easy to forget how long things took in the early stages, and how difficult everything seemed at first. 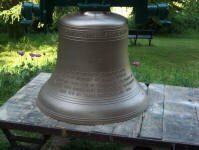 At Bardwell, the PCC decided quite a few years ago that they would like to restore the bells which had been pretty much unloved for several decades. The first few years of the project were spent simply getting to the bottom of what everyone wanted to achieve; sorting out the design, getting the faculty, talking to the numerous interested parties who suddenly surfaced, going through a whole lot of bureaucracy...Eventually we got on to the fundraising phase, which in our case meant applying for lots of grants. Each one was a huge effort but gradually we built up a bank of excellent documents which we could re-use and adapt each time. There were some great successes - Suffolk County Council gave us £8,000 from their Corporate Regeneration Fund - and there were some big disappointments - we were rejected by the Foundation for Sports and the Arts. 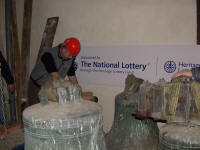 The final 'big push' came with our application to the Heritage Lottery Fund. 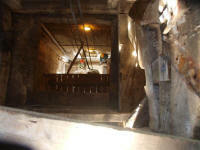 This in itself was a mammoth task but the people at the HLF were incredibly helpful and encouraging. The HLF commit to responding to an application within 10 weeks and they were as good as their word, with news coming through just before Christmas that we had been awarded £33,700 which amounted to 45% of our project costs. Work could start immediately! 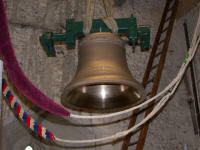 The dismantling started in January followed by the lowering of the bells and transportation to Hayward Mills in Nottingham in February. 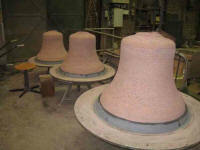 Thanks also to Delstar and Whitton & Frost for help with this part of the project. 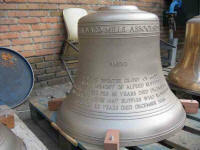 We expect the bellhanger to be on site in April with the installation complete by the summer.